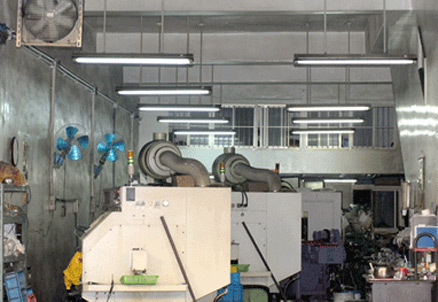 He Tong has over 20 years of experiences in the industry with the most professional engineers, with the best and most precise automatic CNC lathe. Our experiences of coming from manual lathe, semi-automatic, to automatic CNC lathe has endowed us with unique techniques and experiences. We have produced thousands or more types of parts for various machines, cars, medical equipment, aviation equipment, instruments, and toys. We are the most professional and reliable choice for your parts. We have the experience and know-how to use the most suitable machine with the best machining method for various parts, providing our customers with not only economical and fast services, but also professional, responsible, and comprehensive solutions. components, auto parts, antenna parts, manufacture components. 3.Molding, progress stamping die making. 4.CNC Machines with 4 Axis and CNC Milling Machine processing. 1.The most professional models with high cutting precision and high efficiency. 2.Delivery on time for volume production. Auto parts , Metal Forming, mechanical parts, hardware parts, precision special parts, fishing equipment parts, electronic parts, antenna parts, remote control aircraft parts, instrument parts, metal parts, electric meter parts, special precision parts, CNC lathe machining Products, automatic lathe machining Products, CNC Lathe machining Products CNC milling machine milling Products, CNC four-axis milling Products, ., aluminum machining, core lathe machining, punch die opening, continuous die machining, precision punching, OEM integration, various screws, nuts , nuts made, processed products, semi-finished products, special parts processing, hardware foundry, casting gold mining mold processing.